Established in 1982 C&S Fabrications has been providing an unrivalled service for over 35 years. 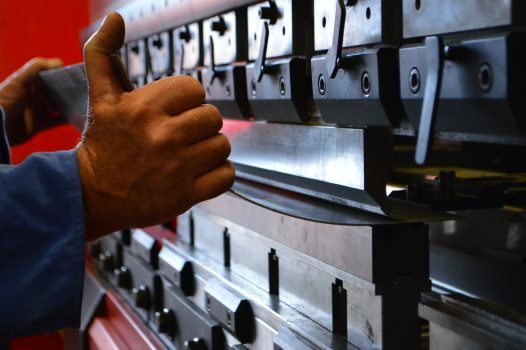 We are a team of fully qualified sheet metal workers and perforators with an outstanding level of knowledge in our field of work, dedicated to completing the job on time and to high company standards. We specialise in stainless steel, mild steel and aluminium fabrication and use the latest CNC machinery and computer aided design software (CAD) to complete jobs to the highest possible standard. Our products range from industrial stainless steel tanks to perforated consumables for the recycling industry. C&S Fabrications is on the lookout for new potential employees to join the team. We offer a variety of different roles from setting up and operating one of our many CNC machines to a full sheet metal workers job including MIG and TIG welding. As one of Sheffield’s leading sheet metal fabrication companies, we strive to find the best skilled people to join our ever expanding team here in the heart of the steel city. We offer flexible hours of overtime both through the week and during the weekends plus an excellent employee private healthcare scheme.